In Hokkaido, sightseeing business reach a peak in winter season. On the other hand, in autumn, although each area in Japan has the busiest tourist season and various events are held, the Hokkaido is relatively calm. But there are popular tourist events even in autumn Hokkaido. Today we would like to introduce 3 top popular events held in November in Hokkaido. These are best events that make you feel autumn of Hokkaido, it is different atmosphere from the winter season. Miharashi Park is located in Hakodate city. It is close to Hakodate’s representative hot spring – Yunokawa Onsen, and as huge park as about 46 hectare. This park is also known as the good place where we could see beautiful autumn leaves. 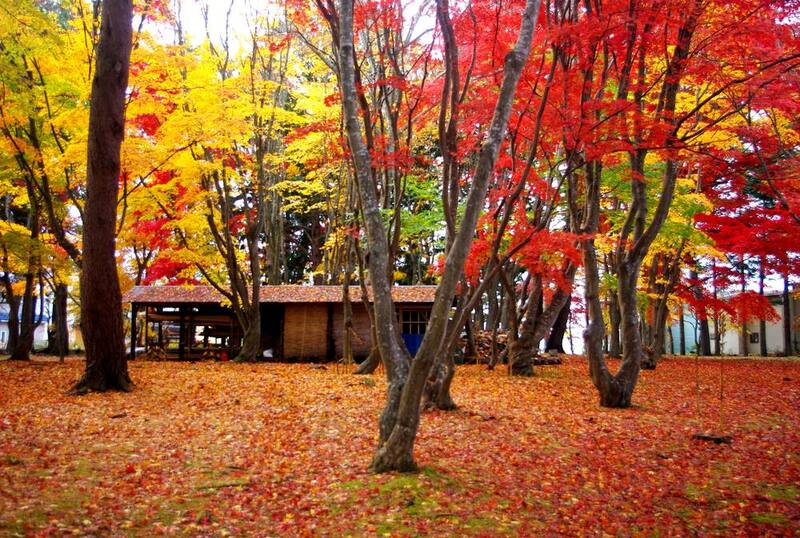 In this park, we could see about 150 kinds of autumn leaves. In addition, there is Japanese-Style Garden named 「Kousetsu-en」that is designated as National Important Cultural Property. Sightseeing Japanese-style garden while watching beautiful autumn leaves is the good way here. And there is another way to enjoy Miharashi Park. It is the night scenery. The autumn leaves would be illuminated during night time. It is differently beauty from that in daytime. If you stay in Hakodate for few days, it is good for you to watch autumn leaves in both daytime and night time. Event：「MOMI-G Fest」 will be held in Oct. 21st (sat) ~ Nov. 12th (Sun). We can enjoy illumination and mini-live show. Time required from the closet station：About 15 min by Hakodate 14 bus from Yunokawa station. The terminal station name / rough time required from the terminal station: Travel time from terminal station: About 40 min by Hakodate 14 bus from Hakodate station. 2. The Fire Festival Iomante – Sep. 1st ~ Nov. 30th in 2017. The Fire Festival named Iomante is held in Kushiro city. The name 「Iomante」 is originally the kind of Ainu’s (the natives in Hokaido) ritual. The ritual that send the soul of bear to god’s world is called 「Iomante」. In this fire festival represents the ritual being held in dancing style with music. The good point of this festival is its unique music and dance. Ainu’s traditional stringed instruments 「Mukkuri」and 「Tonkori」 make mysterious sound. There seems to be many people who got relaxing by listening the sound. And the people playing Ainu’s old way of dancing along with this Mukkuri and Tonkori’s sound. This traditional way of dancing is designated as UNESCO World Intangible Cultural Heritage. In addition, you can see the dances named 「Sarorunrimuse」- it is Ainu crane dance, and 「Futtarechui」　- dancing with their hair waving. 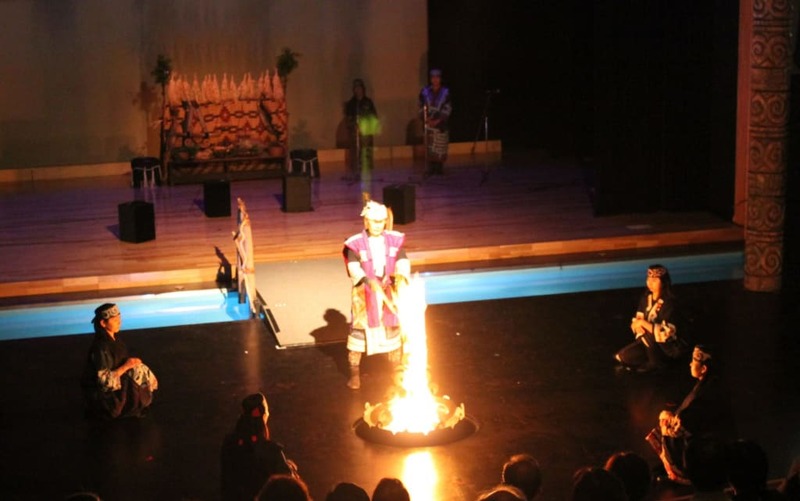 The fire festival Iomante is the best event to know Ainu culture. We want you to attend if you interested in Japanese native’s culture. Time required from the closet station：15 min walk from Akanko Bus Center. Time required from terminal station：About 130 min by bus bounce for 「Akanko Bus Terminal」 from Kushiro station. Entrance Fee：1,080 yen for junior high school student or older. 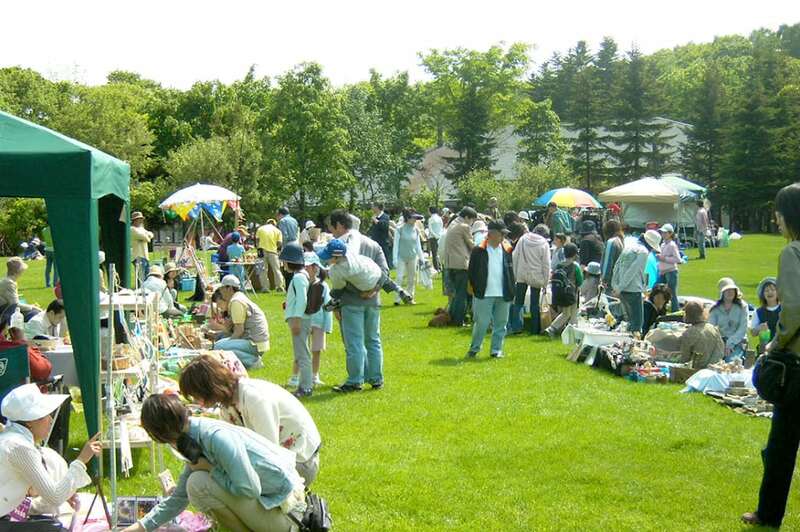 Geimori Art Market is the event held at culture hall – Geijutsu-no-mori in Sapporo city. It has been gaining popularity as the market that allow amateur artist to display and sell their works. The charm of this market is that it allows us see various genres of art. In addition to illustration and pictorial art, handcraft product, Japanese traditional botanical art – “Bonsai” are displayed in this market. Some could be purchased. Every works are artist’s original and cannot be seen anywhere else. Geimori Art Market is enjoyable place for all people who love art. Please refine your tastes by looking full of unique arts. ※Jan. 27th (Sat) in 2018 as well. The closest station：About 15 min by Hokkaido Chuo Bus on Soranuma line・Takino line from Komanai station. Time required from terminal station：About 30 min by Sapporo-shiei-nanboku line from Sapporo station.